From the Group B Cape Verde Islands and Zambia both will play in their 3rd matches in this AFCON tournament. Watch this AFCON matches on 27 January in RTS (Senegal), ORTM (Mali), SABC (South Africa) etc. Somada, Carlitos, Stopira, Jeffrey Fortes, Kiki Ballack, Sérgio Semedo, Platini, Babanco, Garry Rodrigues, Héldon, Kisley. Danny Munyao (GK), Christopher Munthali, Kennedy Mweene (Vice-captain), Spencer Sautu, , Emmanuel Mbola, Chisamba Lungu, Stoppila Sunzu, Ronald Kampamba, James Chamanga, Patrick Ngoma, Emmanuel Mayuka. Zambia football team played just 2 games against Cape Verde Islands. Both marches were held last year 2014. Each team won 1 match in these 2 matches. In the very first matches Cape Verde Islands bet Zambia at home by 2-1 goals in this year African Nations Cup qualification round. And the last matches Cape Verde Islands defeats by 1-0 goals at Zambia in the same tournaments. In those games both team scored 2 goals each in their 2 head to head matches. 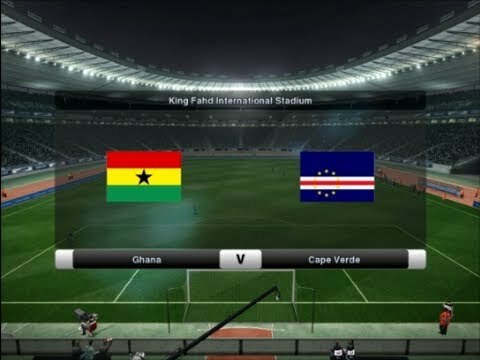 This is only the 2nd appearances in the AFCON football tournament for Cape Verde Islands in their football history. Their 1st and last appearance was at 2013 AFCON. In their 1st tournaments they were played at quarterfinals and finished the tournaments from 7th team. Cape Verde Islands played 7 international football matches in their last football season. In this run they have won 4 matches and defeats 2 matches, and those, one of them was by Zambia. And other was vs. Mozambique. Zambia is playing their 17th appearances in this competition. Zambia was the winner of 2012 AFCON and the runners-up of their 1st appearances at 1974 and 1994 tournaments. They also finished their 1996 tournaments from 3rd place. In their 17 appearances they had to finish their tournaments from 1st round. Zambia is going to start their AFCON 2015 from 46th place of FIFA ranking and Cape Verde Islands starts with 40th place at FIFA ranking.